The Hyperflex golf shoe is the next big thing from FootJoy and it's available for junior golfers. The upper is easy to care for and uses FlexGrid 2.0 technology to conform and expand with the movement of your feet and during a golf swing so your foot is always stable and properly positioned. 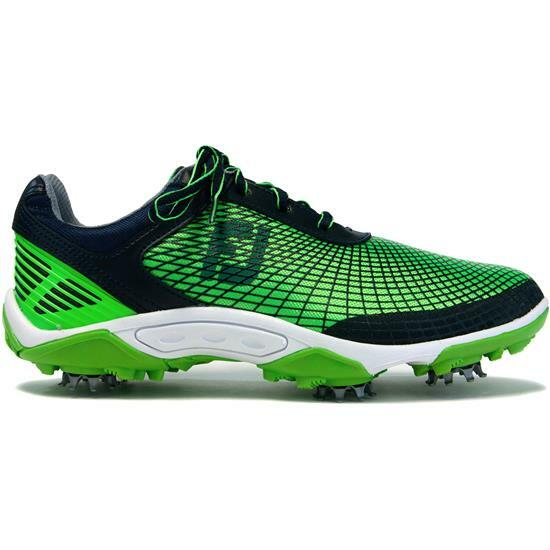 You are about to post a review for FootJoy Men's Hyperflex Golf Shoes for Juniors based on your knowledge of its playability. This review will show up under all variations of FootJoy Men's Hyperflex Golf Shoes for Juniors, including new, personalized, and custom logo.